Customized for rescue operations, the American Liberator helmet from LION provides defense with a low weight, comfortable fit, and thermal protection. Lightweight Defense: Designed to provide first responders with protection that won’t weigh down. Outstanding Fire Protection: Fully-pigmented fiberglass shell with foam lining. Center of Gravity™ Adjustment System: Patented suspension lets you adjust the helmet to control helmet’s center of gravity. Ratcheting Headband: Adjusts from size 5.5 to 8.75. Extra large and smaller ratchet suspensions available. 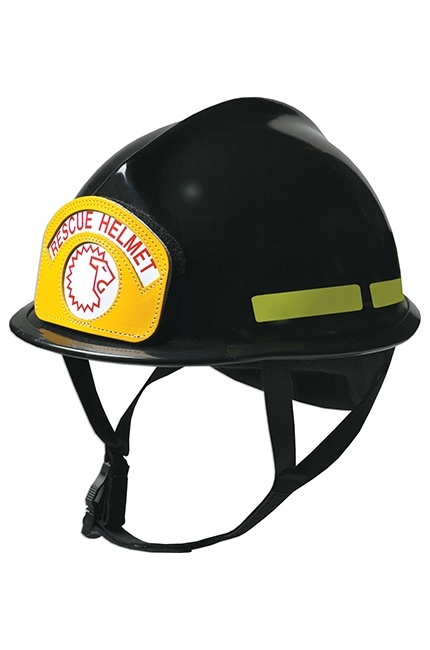 Lexan®/ABS Dome: Impact cap insulated with urethane foam for outstanding thermal protection. Nomex®/Flannel Ear Covers: Comes with ear protection. Other options available as replacement parts. Choose from black, blue, green, orange, white, or yellow.